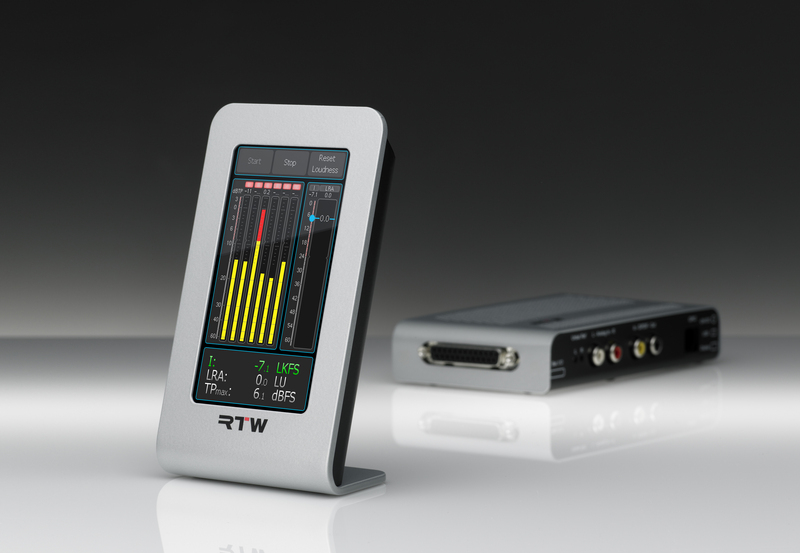 LAS VEGAS, APRIL 16, 2012 ─ RTW, a leading vendor of visual audio meters for professional broadcast, production, post-production and quality control, will exhibit the TM3, the latest addition to the company’s successful TouchMonitor range at this year’s NAB (Booth C1844). Attendees will also have the chance to win one of three TM3 units that RTW will be raffling off during the show. Entry forms can be found in the NAB Daily or at the RTW booth. A winner will be chosen live at the booth at 5 p.m. local time, on Monday, April 16, Tuesday, April 17 and Wednesday, April 18. Participants are encouraged to be in attendance each day to win. 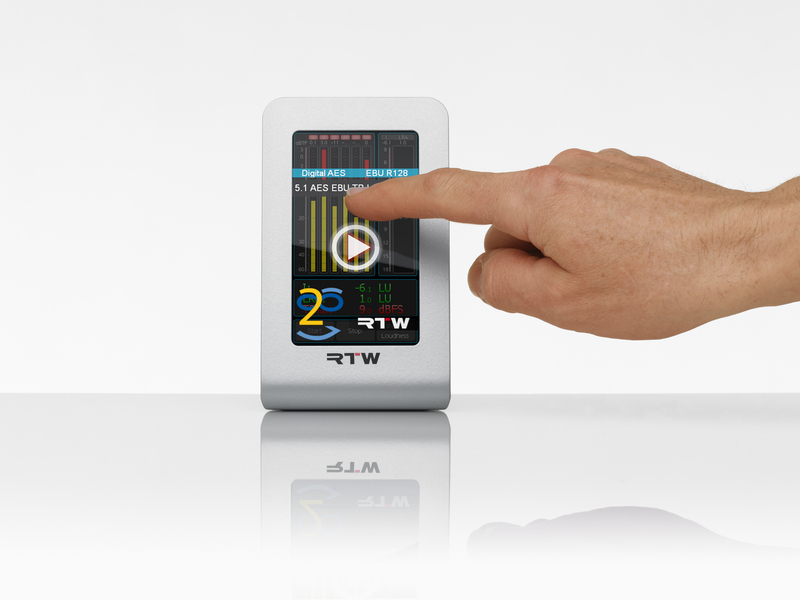 The TM3 includes features of the larger TM7 and TM9 TouchMonitor versions and is controlled using a touch-sensitive display. With its budget-friendly base price, 4.3-inch touch screen and stylish exterior allowing for horizontal and vertical placement, the TM3 is a highly appealing compact alternative, ideal for editorial offices, edit suites and small control rooms. Featuring PPM and true-peak instruments, the TM3 offers comprehensive loudness metering in compliance with all globally relevant standards, including EBU R128, ITU BS.1770-2/1771, ATSC A/85 and ARIB. Instruments include single-channel and summing bar graphs, an LRA instrument and numerical displays. The basic version handles analog and digital stereo audio, while the 5.1 option adds the support of six-channel digital input. Full technical details about the TM3 and all of RTW’s products can be found at www.rtw.de. RTW, based in Cologne (Germany), has more than 40 years of experience in designing, producing, and marketing advanced recording-studio systems. The company focuses its business on professional audio signal metering tools that are in use in the leading recording studios as well as by radio and TV broadcasters worldwide. The current product portfolio highlights the TouchMonitor range, a new series of tools for visual signal analysis and comprehensive loudness metering. The TouchMonitor combines the highest of flexibility and modularity with an intuitive user interface and touchscreen-based multichannel-analysis features, integrating exceptional surround-signal visualization using the unique and groundbreaking Surround Sound Analyzer. The high-end SurroundControl series of products with fully fledged loudness measuring combines the convenient metering options of the RTW surround display devices and the control functions of an eight-channel monitoring controller. For more information, visit www.rtw.de or www.facebook.com/rtw.de, or call +49 (0) 221 709130.